Save the world, one action at a time. Take group actions on environmental issues, get rewards from environmental brands. them right from SaveOhno.org! 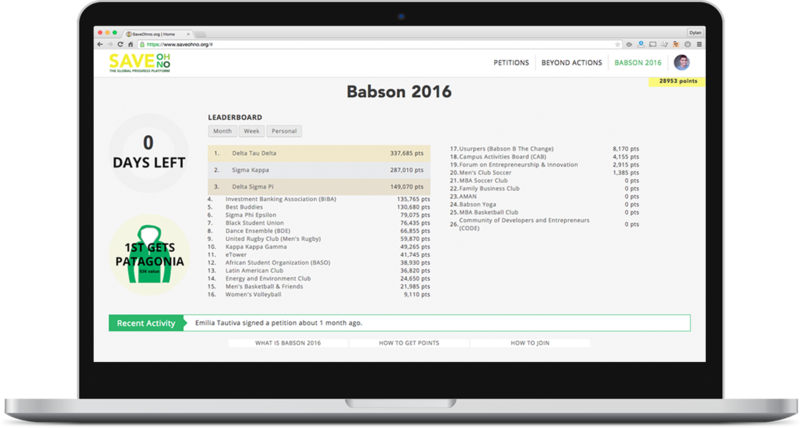 Don't believe petitions can drive change? Check out some success stories. SaveOhno 'Beyond Actions' are uploaded by 15 nonprofit partners, who need your help! Join the Yeloha sales team!